These Bear books by Bonny Becker. I love them! The illustrations are great and the stories are so cute. I think I need to buy them for my boys. Goodnight Goodnight Construction Site -- my three year old loves this book! I've read it over and over for months and am not sick of it yet. I live an hour away from any shopping, so I've been doing a lot of shopping online lately (especially since my baby was born). Even when I do go to Target I forget to buy half of the stuff that I needed. I use my Target REDcard all the time to get 5% off and free shipping on everything. 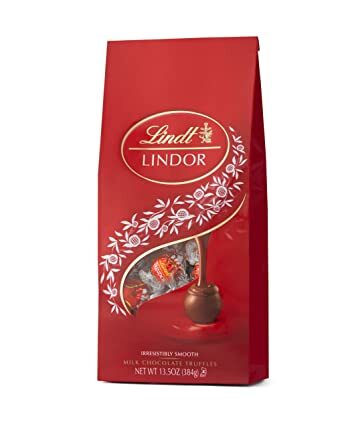 My friend gave me some Lindor Truffles for Valentine's Day. Oh my goodness, how have I not ever had these before? So yummy! I shared with my family, but I don't think my little guys fully appreciated the deliciousness. To counteract the truffles, I've been munching on Craisins when I feel like something sweet.